Sturdy lockseam curtain rod by Kirsch is made of steel with white enamel finish. Seam locks in the back to provide maximum durability. These rods are perfect hanging curtains with a 1 1/2" rod pocket. Brackets, screws, and instructions included. Select 1 1/4 inch or 2 inch clearance. Sturdy double curtain rods are made of steel with white scratch resistant enamel finish. Seam is locked in back for maximum durability. 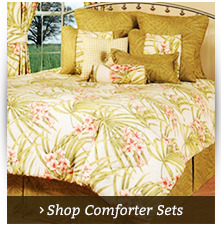 Perfect for placing sheer panels underneath drapes. Brackets, screws, and hanging instructions included. Kirsch triple lockseam curtain rods are extra sturdy. 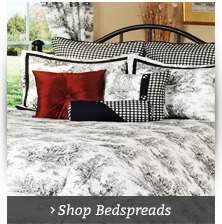 Seam is interlocked in back to provide maximum durability. Rods are approximately one inch apart with a 1 1/4 inch clearance, and includes all mounting hardware and the appropriate number of support brackets. Single Clear Curtain Rod 28 - 48". 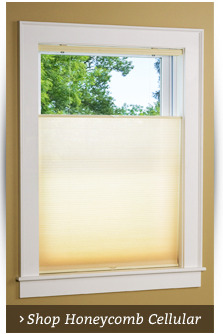 Adjustable to fit windows 26 to 46" wide. 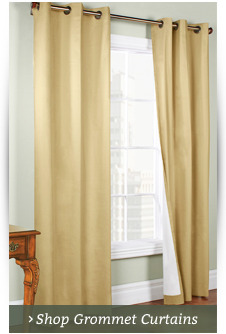 Clearance: 2 1/4" Rod is standard 1" thickness and fits a 1 1/2" curtain rod pocket. Screws and brackets included. Go back to the basics with The Curtain Shop's selection of basic curtain rods. For a classic piece of window treatment hardware that gets the job done and stands the test of time, choose from a single, double or triple lockseam curtain rods in white. Single clear plastic curtain rods are also available for sheer or lace curtains. Basic white curtain rods are made from sturdy steel with a scratch-resistant enamel finish. Single and double basic steel curtain rods are available with a 1 ¼-inch or 2-inch clearance. Choose from telescoping lengths from 18 to 120 inches. The triple white basic curtain rod is only available in a 1 ¼-inch clearance in telescoping lengths of 31 to 120 inches. The single clear curtain rod is available in one telescoping length of 28 to 48 inches. All installation instructions, hardware and support brackets are included.